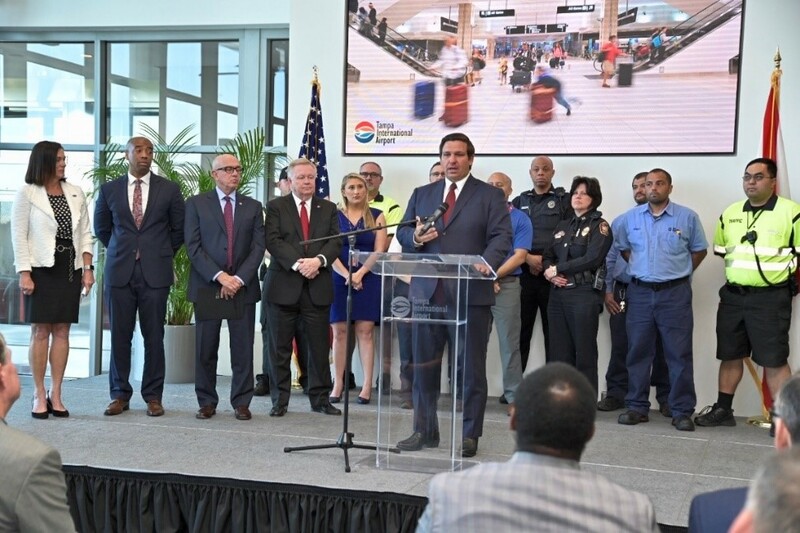 Tampa, Fla. – Today, Governor Ron DeSantis visited Tampa International Airport to highlight and discuss the benefits that tourism provides to the state of Florida. 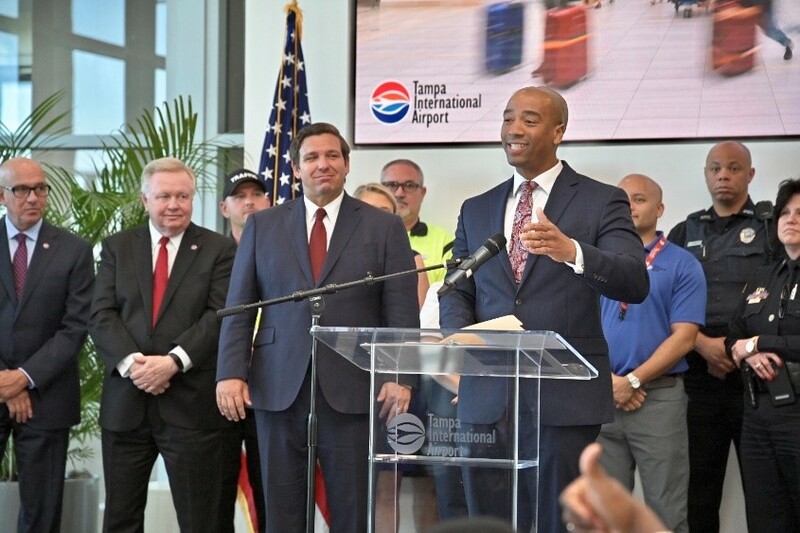 Governor DeSantis was joined by VISIT FLORIDA President and CEO Dana Young, Enterprise Florida President and CEO Jamal Sowell, state and community leaders, as well as representatives from Tampa International Airport, including CEO Joe Lopano. Earlier this year, Governor DeSantis and VISIT FLORIDA announced that Florida had an all-time record of 126.1 million visitors in 2018, a 6.2 percent increase from the previous record of 118.8 million visitors in 2017. This marked the eighth consecutive record year for visitation to Florida. VISIT FLORIDA also announced today that tourism to the state saves each Florida family more than $1,500 annually. 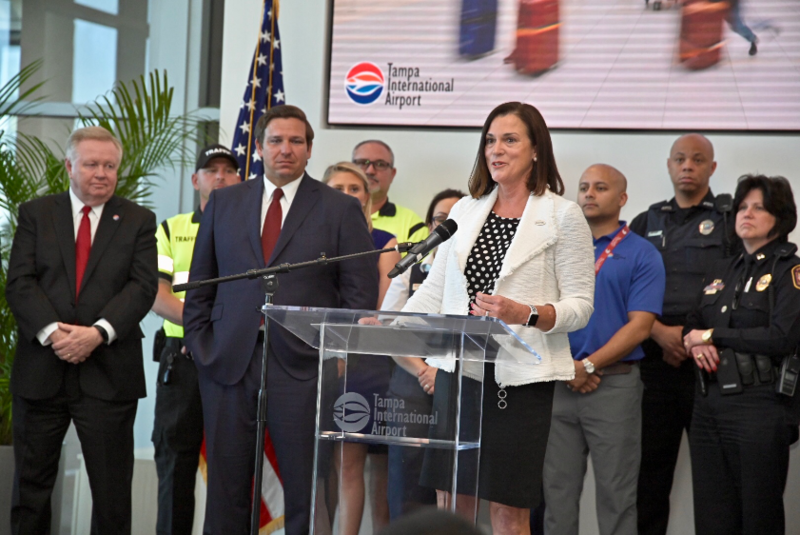 Investing in Florida’s tourism industry, particularly international tourism, plays a significant role in generating economic development to the state, with Tampa International Airport being an integral partner. Since the airport began working to bring new international flights to Florida in 2012, it is estimated that international passengers visiting the Tampa Bay area have spent over $1.3 billion into Florida’s economy. Additionally, the growth of international passengers has generated over $88 million in tax revenue and has supported nearly 18,000 jobs in the Tampa Bay region alone.